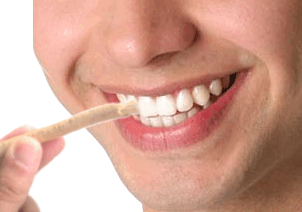 What is a Miswak, exactly? The Miswak is Nature's toothbrush! 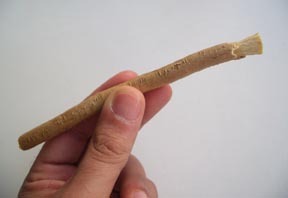 The miswak is a teeth cleaning twig made from the Salvadora persica tree. It has a long, well-documented history and is reputed for its medicinal benefits. Research has shown that it is at least as effective as brushing with toothpase. In addition to strengthening the gums , preventing tooth decay and eliminating toothaches , the miswak is also said to halt further increase in decay that has already set in. Furthermore, it is said to create a fragrance in the mouth, eliminate bad breath , improve the sense of taste and cause the teeth to glow and shine. In addition, benefits not related to the teeth and gums include sharpening memory, curing headaches, creating a glow on the face of the one who continually uses it, strengthening the eyesight, assisting in digestion and clearing the voice.